Chinese telecom equipment and mobile phone maker Huawei showed off its homegrown game console Tron at CES just days after China’s state council lifted the ban on game console sector imposed in 2000 (source in Chinese). 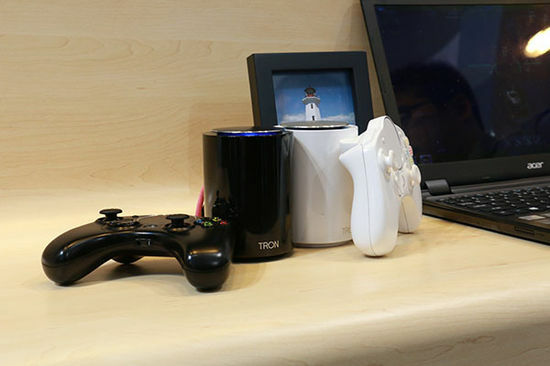 Powered by Android system and Nvidia’s Tegra 4 processor, Tron is a small cylindrical console that can be connected to TVs via HDMI. It also supports WiFi, bluetooth connectivity and even a USB 3.0 port. Each console can connect to up to four gamepads. Another highlight of the gadget is that it supports fluent 4K video display. Moreover, the company has partnered up with several game platforms like PS3, PC and NDS to develop custom games for Tron. 12 custom games are already available for the gadget. The product reportedly will be released after May of this year at $120 or less. Microsoft has already established a joint venture with Chinese media company BesTV last year, planning to introduce Xbox One into the mainland this year.